Cooling Off Where You Are? HometestUncategorizedCooling Off Where You Are? It’s cold (squeal of delight) and Eliza is now wearing the hat I knit while she was in-utero. It’s cuter on & all the flaws are much less noticeable when her sweet laughing eyes are peaking out from underneath. Here’s more on the pattern. Is there anyone who doesn’t think aviator hats are adorable?! What cool-weather knits are you pulling out of hiding? 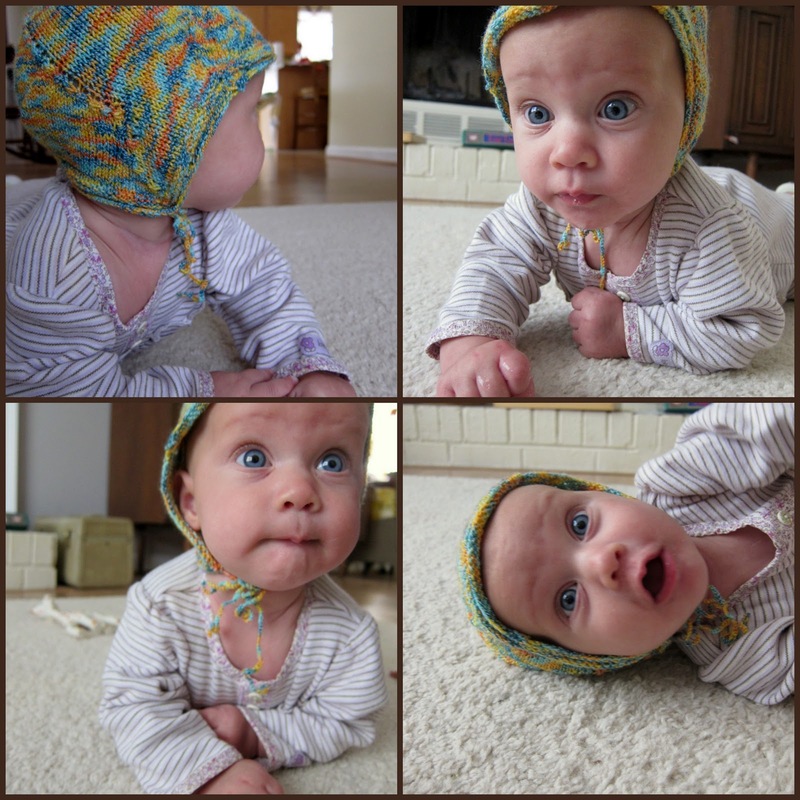 these pics are unbelievably cute!!! Nope, it's Indian Summer around here… but that aviator hat is, indeed adorable! Meanwhile, I'm glad my wee Bloom has grown a bit of hair, because, aviator hat or not, he will yank at it and scream until it's taken off… No hats for THAT baby this winter!